Since completing a Diploma in Theology course at Charles Sturt University, I have posted below some of my essays (the ones that received better marks), revised to include the lecturer's comments and later reflections. 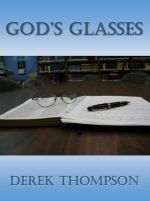 More recently, I have added a Bible Study guide booklet called One in Christ and the 8th revision of my eBook God's Glasses which has improved readability and incorporates some of the things I learnt from the Diploma in Theology course. In 2015, just for fun, I wrote an eBook called Observers' Guide to God. Most recently, I have written a book on the atonement, which took so long that in 2017 I wrote an eBook on prayer. Achieving Atonement was launched in June 2018 and is an academic work aimed at resolving the problems of atonement theories by presenting an innovative new model. My free eBook “Achieving Atonement” presents a new atonement model that is biblical, ethical, reasonable, comprehensive, ecumenical, and avoids the problems of traditional atonement theories while retaining their truths. The book explains how God is achieving atonement and the place of Christ’s violent death on the cross. You can discuss this atonement model with the author on either of the following academic research webites. You will need to log in. The Prayer Mission surveys the biblical teaching on prayer and draws a challenging conclusion. Prayer is the interaction with God that forms the relationships between people and God. It is an integral and essential part of our mission of earth. Download the PDF file here (1.7MB). Other formats are available at Smashwords.com. The narrator, Albert Steinberger, author of field guides for bird watching, here turns his expertise to God observation with hilarious results. Albert consults a team of experts to help him with his quest. To ensure no readers are offended, Albert makes no reference to any particular religion, person or sacred book. A book for novice and experienced God watchers alike. Download the PDF file here (1.4MB). Download the ePub file here (1.9MB) for reading on an Android eReader or using Adobe Digital Editions on PC. One in Christ is a series of six Bible Studies on church unity by Derek Thompson. Raymond Williamson has contributed two articles on ecumenism to help group leaders understand the theological issues. The Bible Studies may be printed out from the PDF edition on A4 size paper for use as a hand out to the Bible Study participants. Other formats are available at Smashwords.com. Download the PDF file here (984kB). Download the ePub file here (270kB) for reading on an Android eReader or using Adobe Digital Editions on PC. Download mobi file here (238kB) for reading on Amazon Kindle eReaders. God's Glasses seeks to look at life and Christianity from God's perspective, through God's glasses. This provides a fresh view of how God relates to the world, one that is more relevant to the modern reader, while remaining faithful to traditional Christian beliefs. The book is now presented in various eBook formats. Gospel 1, 2, 3 is an outline of the Gospel. The Bible Reading Plan that I have been using and revising since the mid-1980's. It is designed to be printed on both sides of an A4 sheet and folded in three. This is the latest version - version 11, 2016. The Nazirite Vow. An exegesis of Numbers 6:1-21. The essay discusses the meaning and relevance of an obscure passage of Scripture. The theological implications of humanity being made in the image of God. Christ the Saviour. Can the violence of the cross be seen in a way that avoids the implication that God is vindictive? 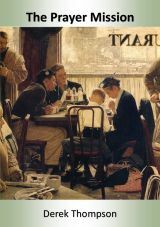 An essay on how atonement theories deal with the problem of the violence of the cross used by God as a means to salvation. This is the latest version of 17/4/15. The Apostle Paul in "The Acts of the Apostles". An essay discussing the problem of harmonising the details of Paul's life in Acts with the details given by Paul in his letters. Jesus' Parable of the Wicked Tenants. An exegesis of Mark 12:1-12. A couple of essays from the Church History subject. Clement, Bishop of Rome, wrote a letter to the church in Corinth in about 96 A.D. The church council held at Chalcedon in 451 A.D. discussed what it meant for Christ to be both God and human. The Christian Ethics subject had us dealing with some difficult issues. Any view of gay ordination will not please someone. Please don't be offended. Another Christian Ethics problem, this time discussing the question of government unemployment benefits made to people who "don't want to work".